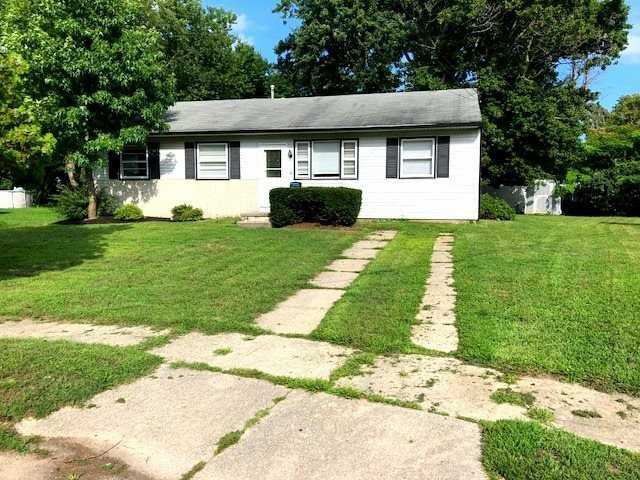 Very cute, clean and recently updated 3 bed/1 bath rancher located on a quiet little cul-de-sac within walking distance to shopping/dining and just a short drive in all directions to the Shore beaches! This is a great starter home big enough for the whole family with plenty of room to play in the spacious backyard. Recent updates include new carpet, vinyl flooring, fresh paint and a fully renovated attic with new stairs. This also would fare well as a rental property given the 5 years previous rental history at $1300/month which could easily be more! Don&apos;t let this adorable and affordable shore house close to everything pass you by...easy to show...call today!